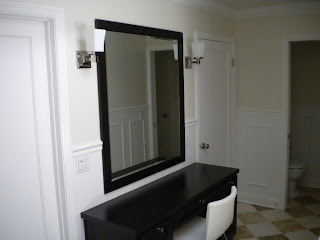 I need to share a funny story with you. A few weeks ago we attended the San Jose Home Show as an exhibitor. During some downtime at the show, Richard decided to walk the aisles and take a look at the other exhibitors' booths. As he was passing one of the booths, a picture caught his eye. 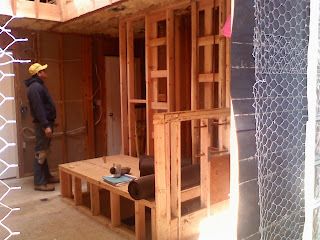 It was a home that he had designed himself, and was now hanging prominently in another design/build company's booth (who shall remain nameless). Upon closer inspection, they had not one, but two pictures of the homes he had designed. 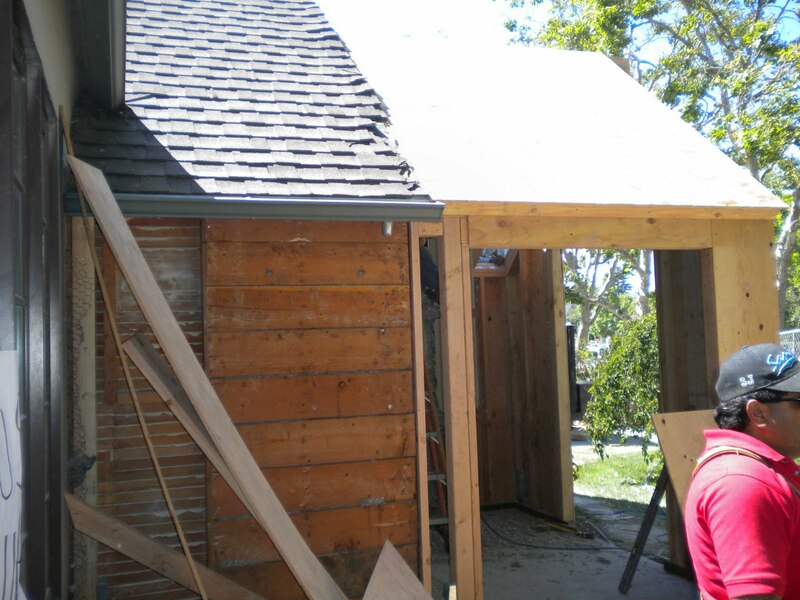 Seeing this, Richard was compelled to ask why his work was hanging in a competitors booth. Their answer, "We use them to inspire us." 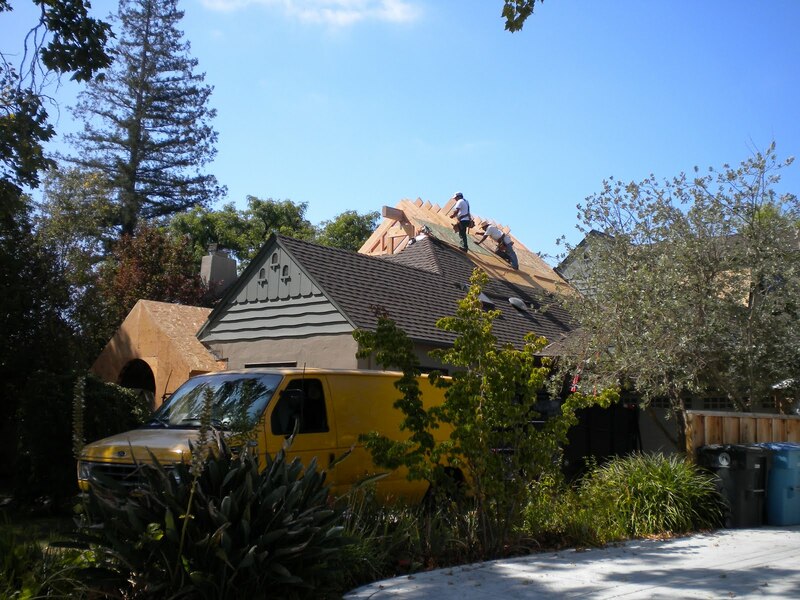 Wow, it is one thing to inspire your customers, but when your work is inspiring the competition, that is truly saying something! 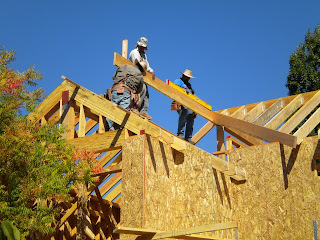 Richard simply smiled and walked away. 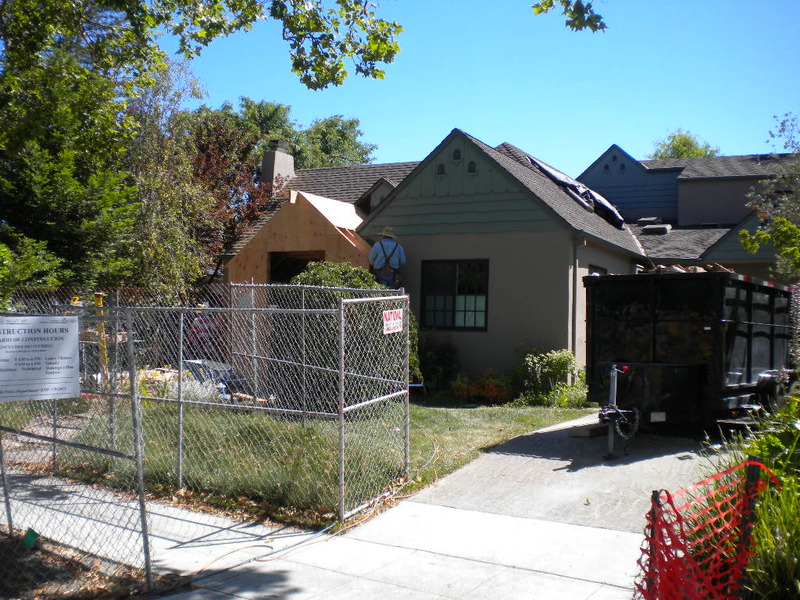 I guess thirty years in the business of designing quality homes will provide inspiration in ways you never would have imagined. 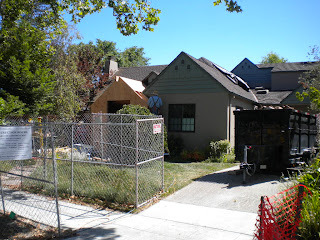 Here are some more photos of the Paul Ave. project. 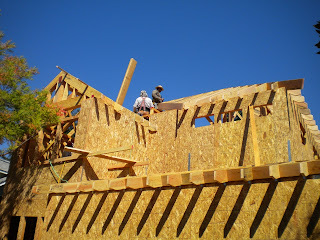 The second floor is now up and the ceiling/roof is now being constructed. Here are some updated photos from our job in Saratoga. The bottom floor has been framed, and the second floor is underway. 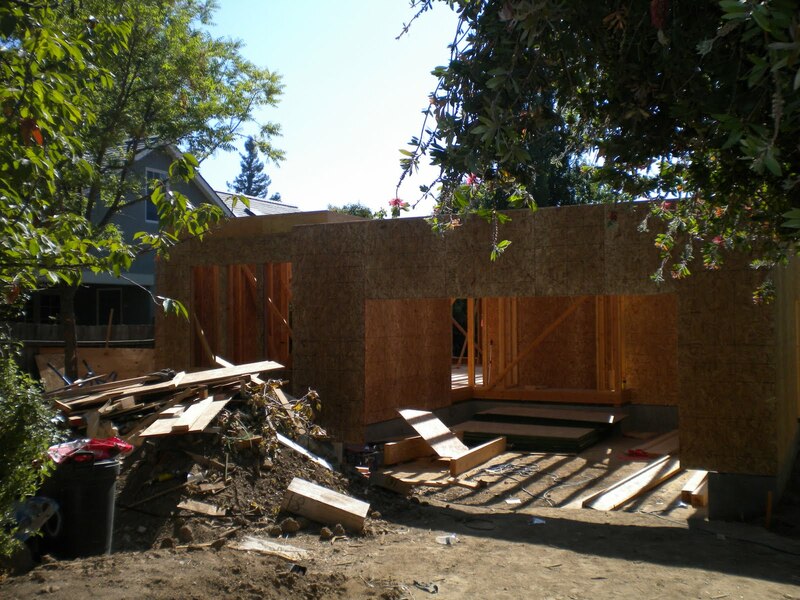 Here is a project we have underway in San Jose. 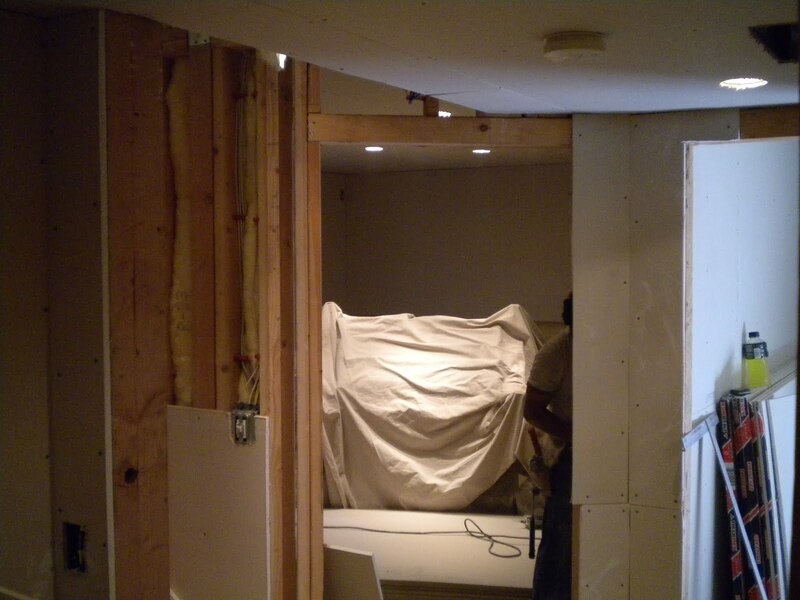 It is a basement conversion that was originally started a couple years ago, and we are now finishing up. The blueprints and a couple pictures of the project are below. The sheet rock has been hung and will be taped and textured next week. 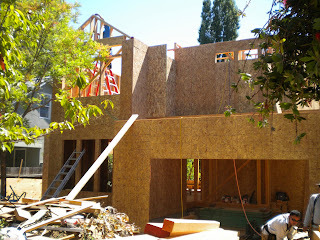 Our Palo Alto remodel is marching on. 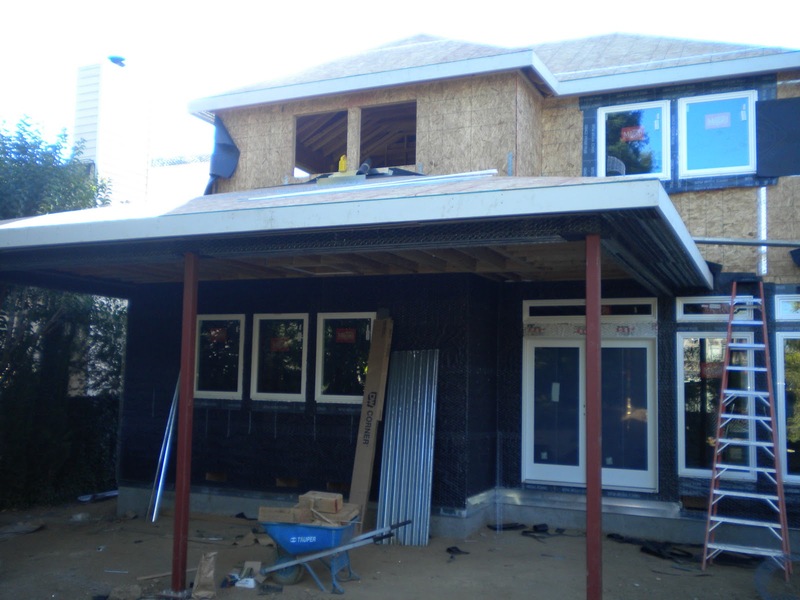 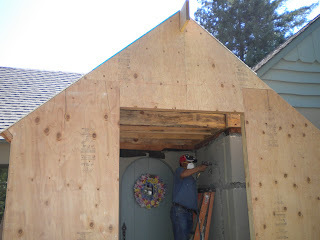 The walls and roof have been added for the second story addition, and a new front door has been installed. 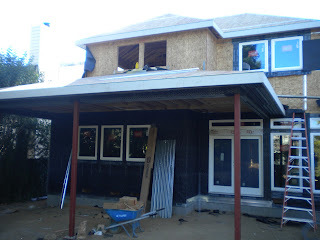 Here are the latest pics from our project in Saratoga. The first floor has been framed and construction has now begun on the second floor. We are also doing a brand new house, from the ground up, in Saratoga. We completely demolished the original house, including the foundation. 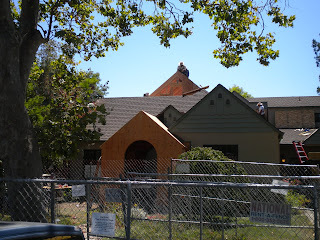 (See video of the demo in our video log at the bottom of the page.) 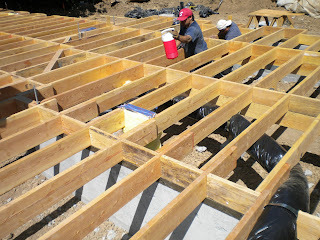 We have already installed the new foundation, and are now constructing the subfloor. The underfloor mechanical has been installed, and this week the underfloor plumbing is going in. 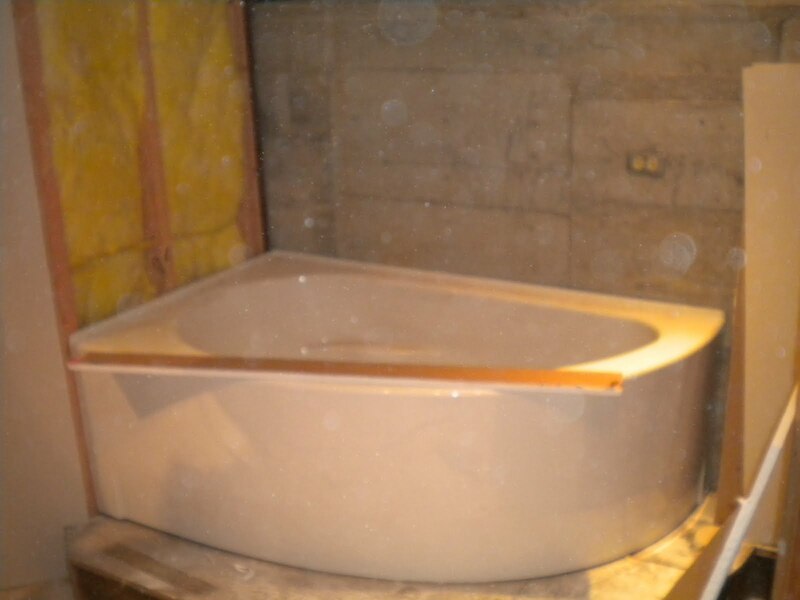 (see pics below). 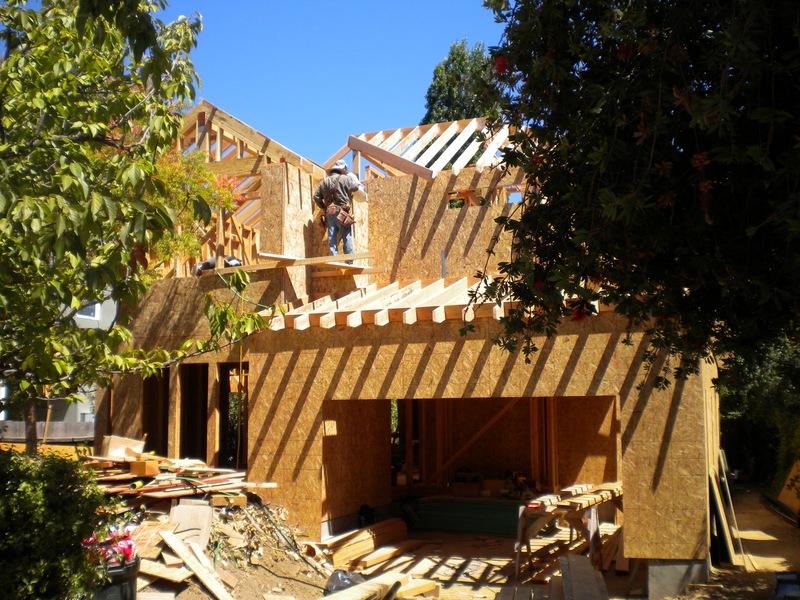 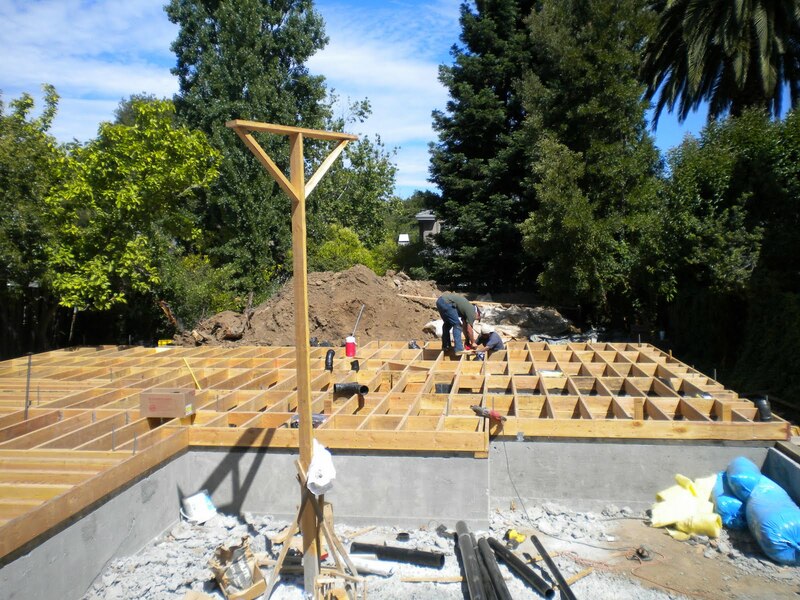 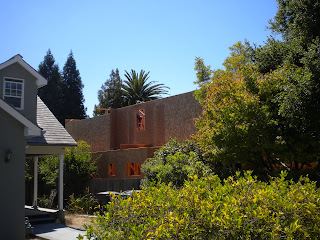 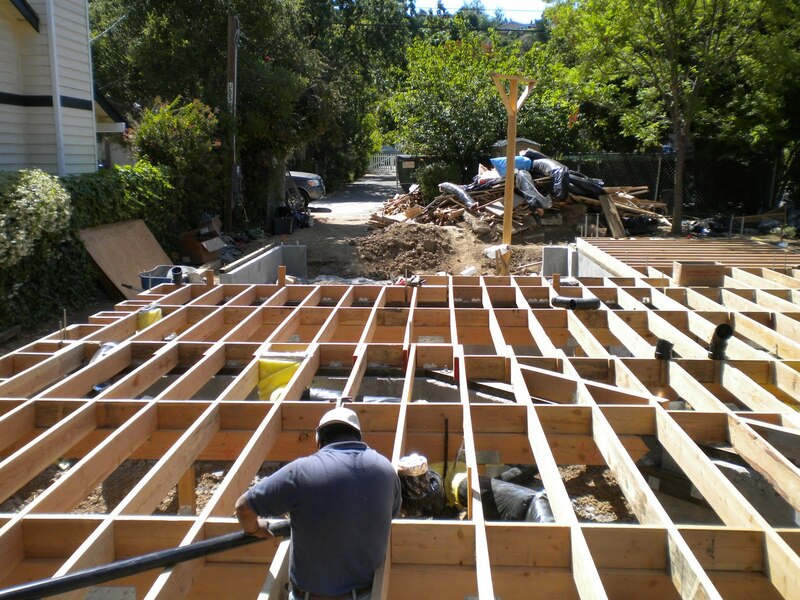 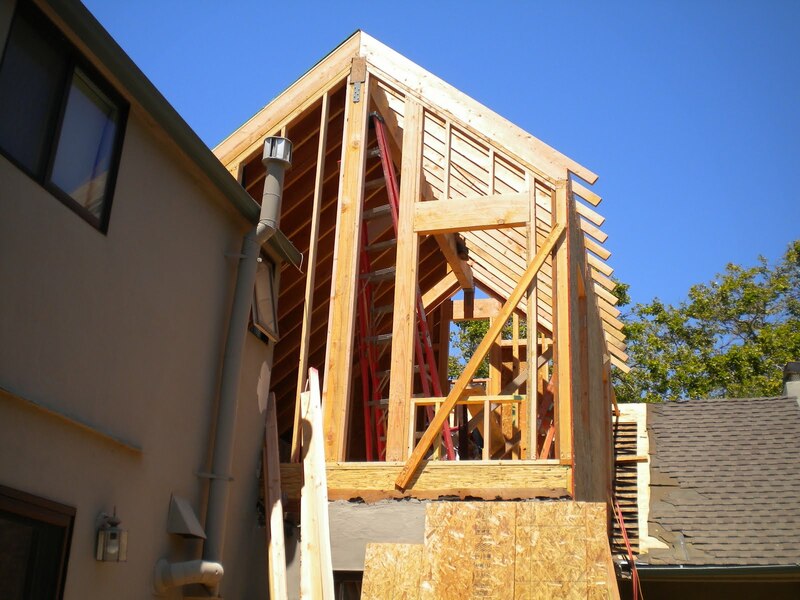 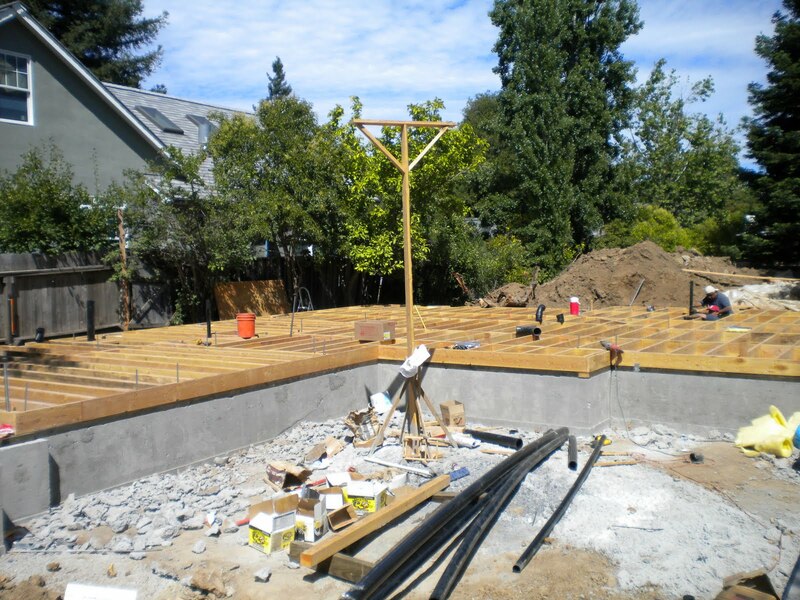 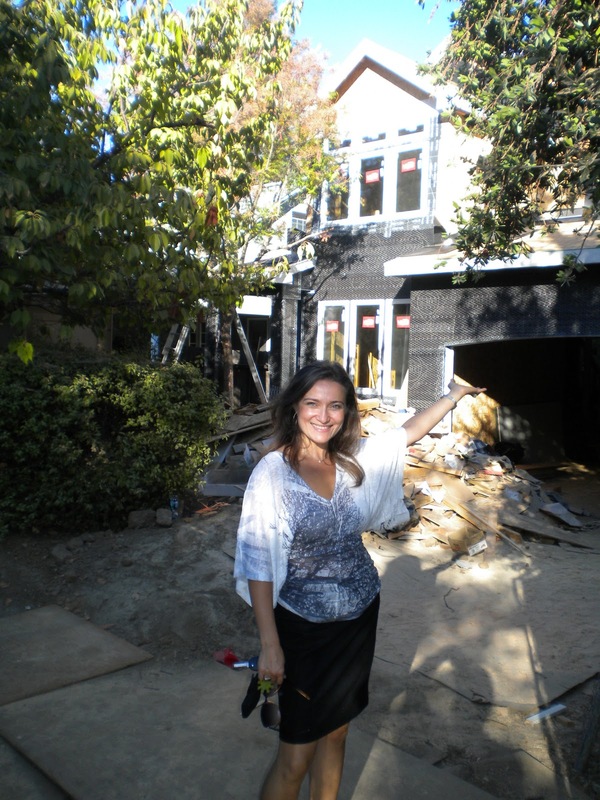 We are also well into construction for a remodel in Palo Alto. 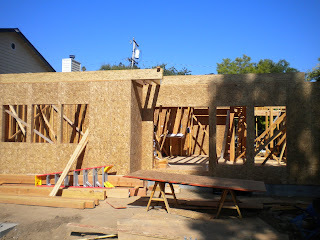 We have done the underfloor work and are now doing the framing. Below are the plans with some pictuures of the job site. 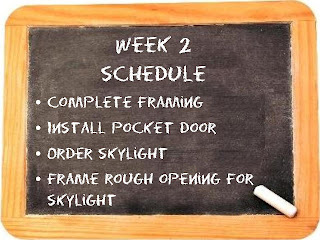 Unfortunately, I haven't been able to update this in awhile.....again. 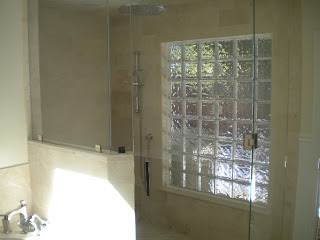 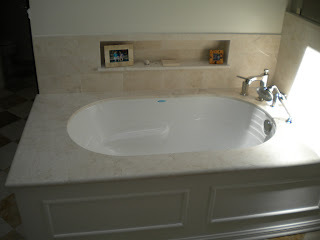 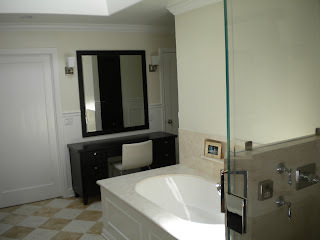 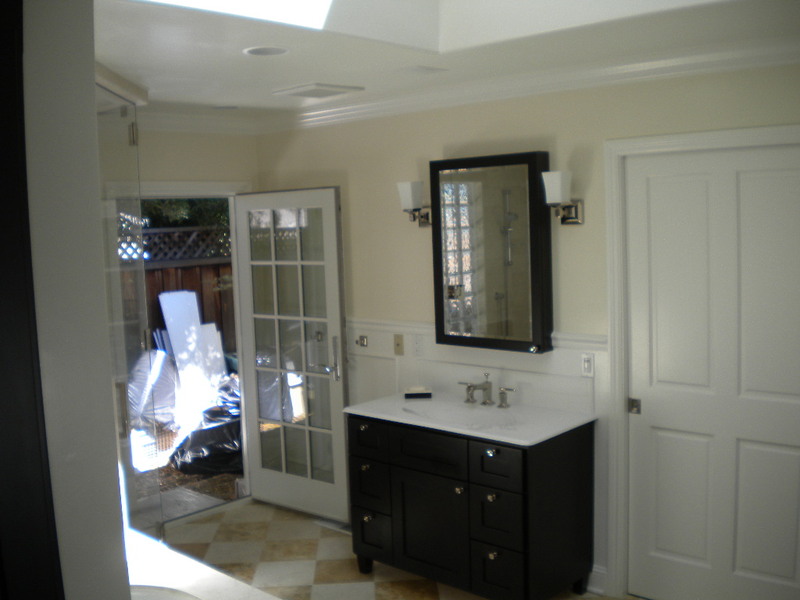 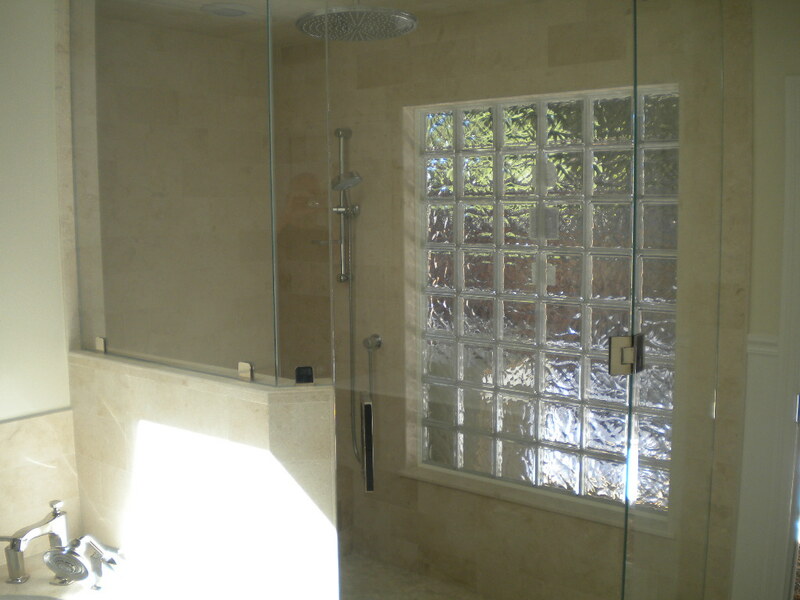 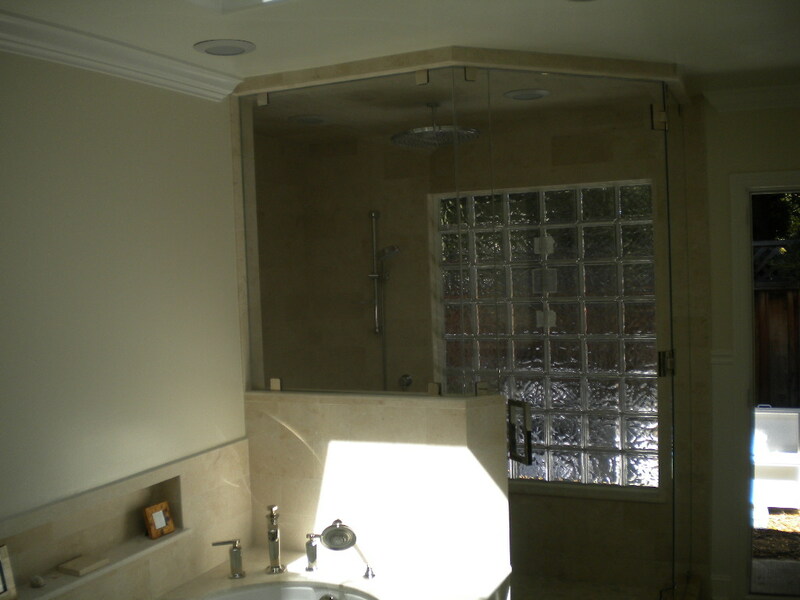 Since our last post we have completed the bathroom remodel in Los Altos. 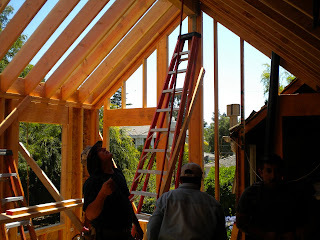 Final inspection was a few weeks ago. 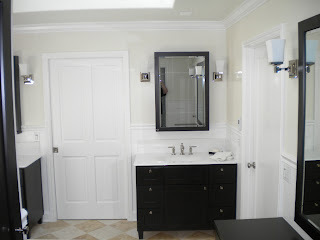 Below are some pictures of the finished project. 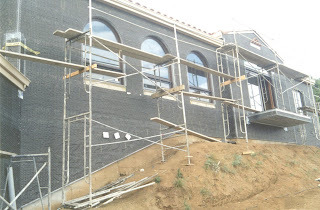 Week six has come to a close and the sheet rock and stucco lath have been installed. 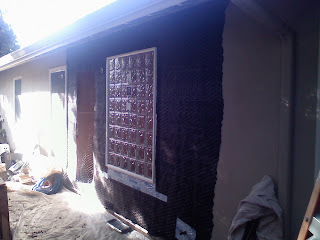 For those who don't know, the lath is a wire mesh, almost like chicken wire, that the stucco adheres to. 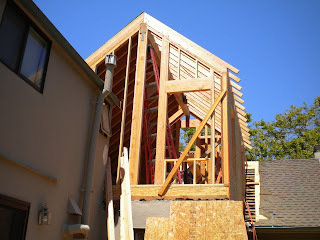 Below is a picture of what it looks like on a house. 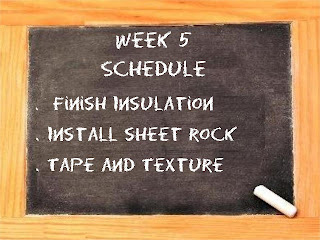 This week we will finish up the insulation of the walls and then begin putting up the sheet rock. 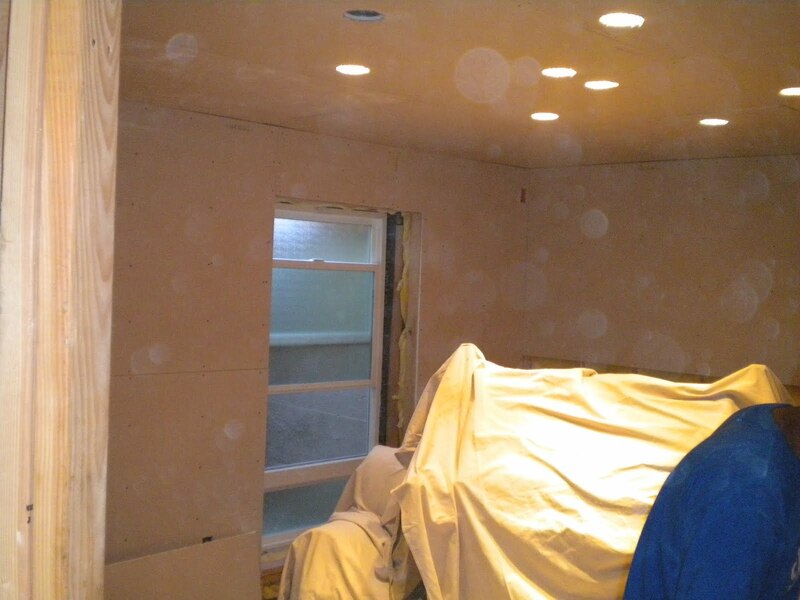 Once all the sheet rock has been installed, it will be taped and textured. 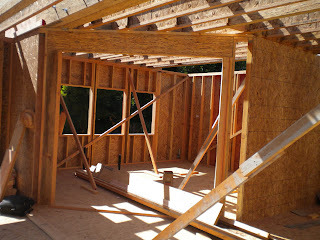 Below are some pictures of what the finished framing, plumbing, electrical, and mechanical look like. 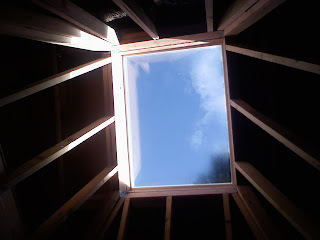 You will also notice that the glass block window and skylight have been installed. 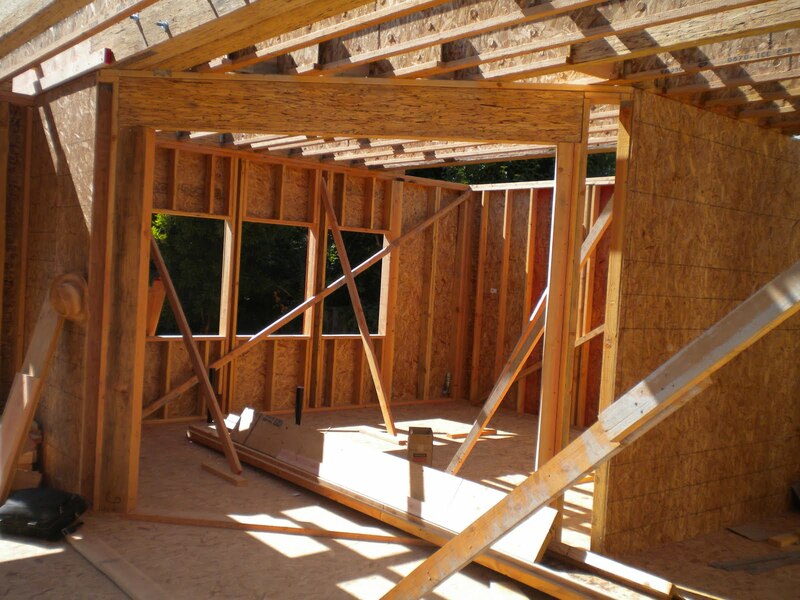 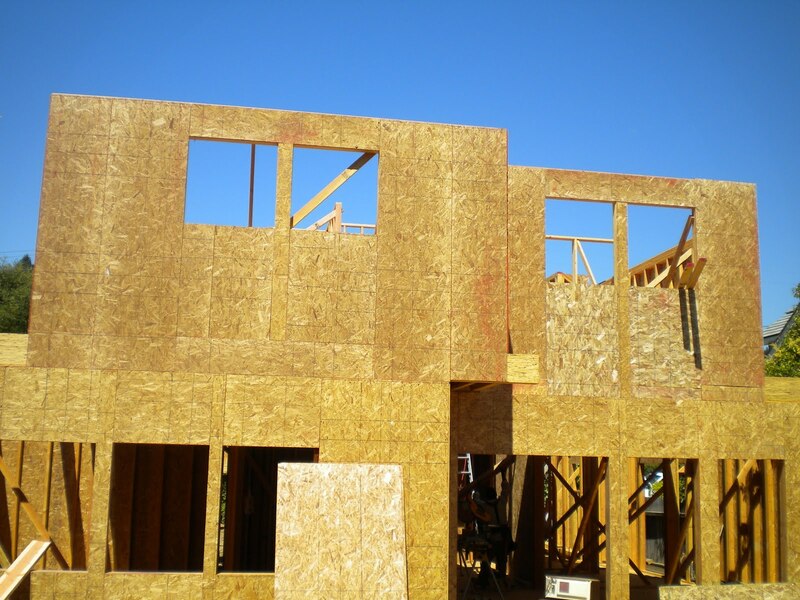 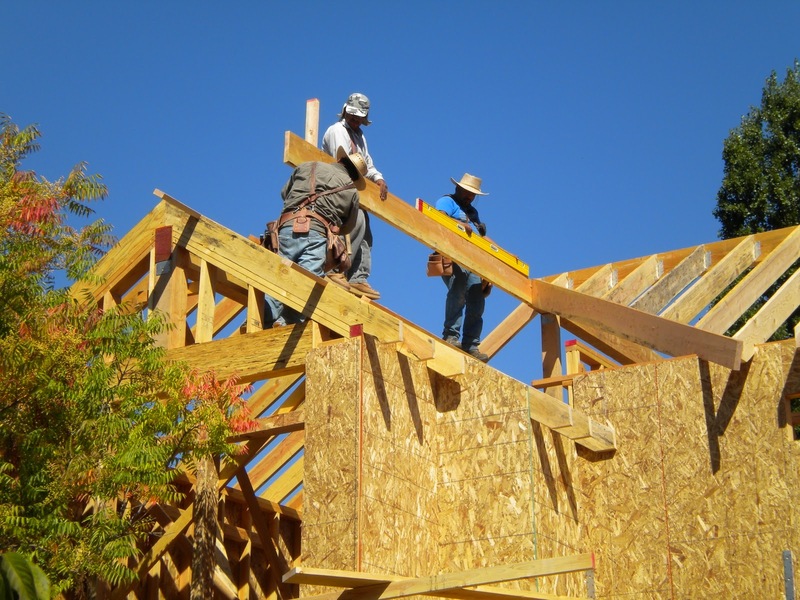 This past week we have completed all the rough framing, rough mechanical, rough electrical, and plumbing. The rough all inspection was done today, so its time to move on to insullation and then sheet rock next week. 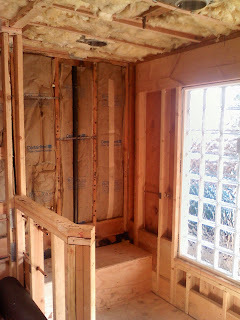 For week two of this bathroom remodel, we wil be finishing up the framing. That includes installing the pocket door and doing the rough opening for the skylight that is to be ordered this week. 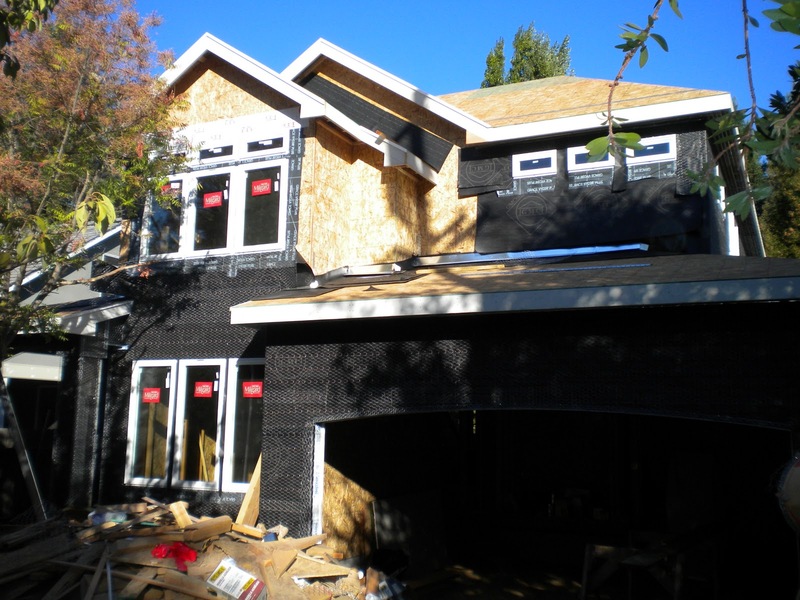 Below are the plans for this remodel to give you an idea of what the finished project will be. 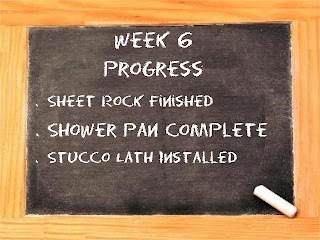 We will follow up with a progress report at the end of this week.